We mount our bikes and get ready for a hardy workout. The room is dim but the stage is elevated and illuminated to spotlight the empty bike from where our instructor, Ian, will be leading our 45 minute session of blood, sweat, tears and redemption. We are warming up, adjusting our seats, and preparing our souls in anticipation. Enter Ian left stage. He is ripped and torn and fit as a fiddle with a dashing smile and a charismatic personality. He makes a mental note of who might need some extra attention in the room. He is like a prophet bringing the good news to the flock who long for health and fitness. And off we go. The music is pounding. My daughter in law inserts her ear plugs. Ah, those thirty something kids! They can’t handle loud music? Me, on the other hand, after raising three sons with a drum set and other accouterments of a noisy household- including broken windows and baseballs thrown through doors- can find peace at any decibel. Yes, I want what he’s selling! But I glance briefly at my 25 week pregnant daughter in law and say quietly to her not to push yet! She can’t hear me above the din of the rock music and of course the ear plugs. We’re out of the saddles now climbing the imaginary hill of our challenges and struggles. The room is moving in synchronicity. Bodies up and down and up and down on cue. I am pretty sure that if Ian told us to do a flip over our handlebars we would all cooperate. We are mesmerized by his words and his commands. I’m beginning to wonder if there will be a crucifixion at the end of class.. I move my sweaty hand and gently touch Breezy’s hand. I’ve been so cavalier about her being pregnant and having a baby. Women do it all the time. But this is her biggest challenge right now! Pregnancy, nutrition, getting enough rest, knowing when to stop working and start nesting, moving into a new place- maybe even being married to my son, Peter! Did I raise him to be a good enough husband and father? We are heading for the climax of the class. We are sweating and panting and letting it all go and feeling free. I’m thinking about how fortunate I am to have this wonderful relationship with my daughter in law. There is an intimacy that continues to grow between us. I couldn’t be more delighted with the woman she is and the mother she will soon be. And I love her as if she were my own daughter. Cooling down now and stretching. The lights go on and I realize we are at a spin class- not a revival. There have been so many changes in my life this past year. A new home. A grandson to look forward to. My new role as a Sittie. I have considered going back into weekly therapy with my 80 year old guru, Lucia. 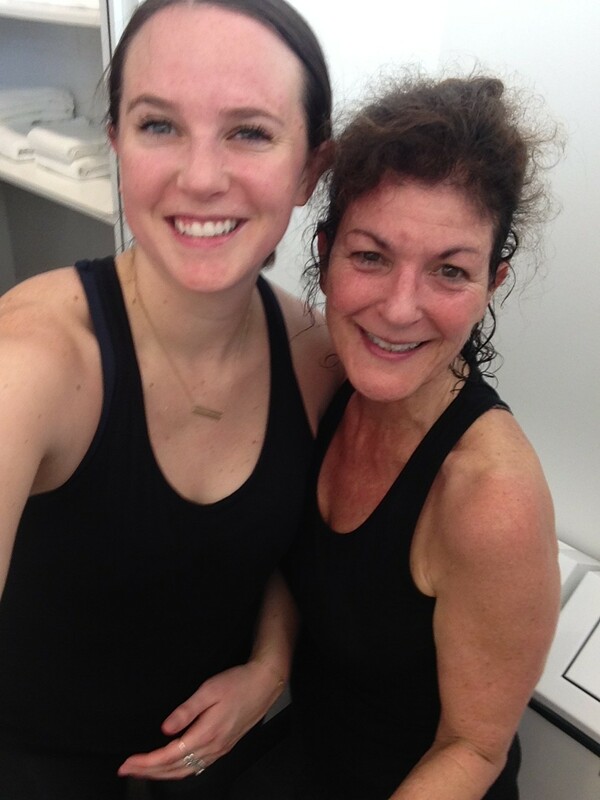 But now I’m kind of thinking that all I really need is this quality time with my beautiful daughter in law, Breezy, a positive attitude and an open heart from which to love, and perhaps a weekly visit to the Church of Soul Cycle. When I was the ripe young age of 21 years old and engaged to my college sweetheart, my mother did something rather out of character for her. She threw an engagement party for us. Now keep in mind that there was no pinterest in 1978 and no internet for that matter! I was finishing my college degree and typing my final papers on a typewriter that never quite spit out my monkey mind thoughts as fast as I wanted it to. My mother’s parties were always the same- no fancy decorations or new recipes. 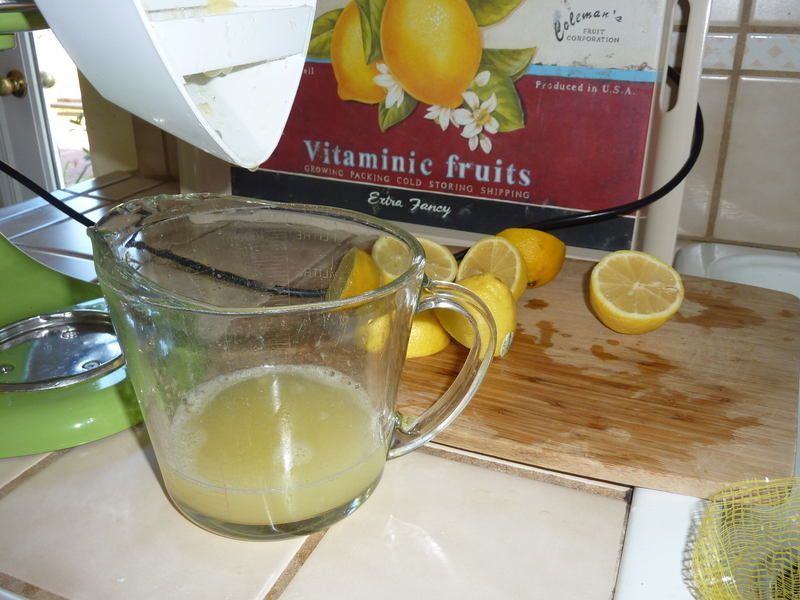 They usually consisted of the house full of my siblings, their spouses and their children. And even though no “extra” people were invited, we still had to eat in shifts at the dining room table. The house was always full of chatter and love and the table was always groaning under the weight of homemade Lebanese food and the elbows of my handsome and hungry brothers. I wouldn’t have changed one thing about that party! It was just the celebration I craved! All the love in the world was in that kitchen! But my mom added a special touch that I will never forget. 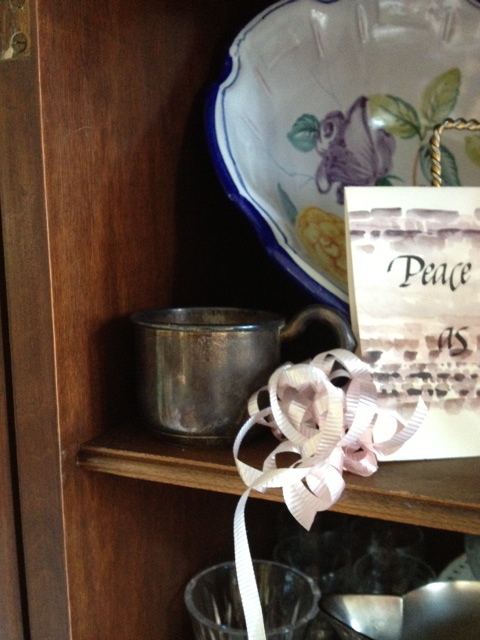 From the dining room chandelier she hung a sterling silver baby cup with a curled pink ribbon tied to it. Now, you must appreciate that in a family of six children, individual artifacts of each child are difficult to identify even if you can find them after twenty something years! Having been raised “warehouse style” (look it up- it’s Freudian) in a house full of the opposite gender I don’t remember anything really being my personal property except maybe for my dolls and a couple random items from the Avon lady. But somehow this tiny silver cup floated its way to the top of the old Amelia Earlheart trunk in the garage and my mother had a thought about finding it and displaying it from the chandelier. Without the guidance of pinterest or advice from friends on Facebook, she gave the party that special touch. And touched I was. Indeed, it touched me so deeply that the tiny cup is displayed in my china hutch (her china hutch!) thirty five years later. The ribbon has faded and the cup has tarnished, yet it is still a beautiful reminder of the occasion and my mother’s intention to do something special for me. This weekend I am hosting an engagement party for my son, Peter, and his beautiful fiance, Brianna. I couldn’t have hand picked a more lovely young woman for him. That same dining room table that now graces my home will be groaning with food. It has bowed even more with majesty under the elbows of my three handsome and hungry sons. There will be family and friends and toasts and the fullness of love and good wishes. I’ve hosted many parties in my home but this one will be special. We open the door to join with a new family and hail the beginning of Peter and Brianna’s lives together and all the joys and challenges that lie ahead for them. It will be a profound and meaningful celebration. And I have been preparing for it for weeks! Just this evening I was deadheading mums and raking leaves in the back yard. Tomorrow I will pick up some last minute items. Saturday, my “helpers” are coming to string lights, set up tables, roll grapeleaves and chop parsley for tabouli. Sunday morning will be spent arranging flowers and ironing table cloths. It is all a sweet labor of love. So shoot me… I want it to be perfect! I want it to be something that they will remember for years to come. A celebration full of all the love in the world! I want it to be something special. Fortitude is defined by Merriam-Webster Dictionary as a strength of mind that enables a person to encounter danger or bear pain or adversity with courage. Dictionary.com defines it as guts. The experiences that build fortitude are not always the most pleasant. Who would choose them? However, if you look at the woman or man you have become due to some formidable and unpleasant challenges, what do you see? Who do you see? Harold Kushner, a rabbi and inspirational author, wrote the book When Bad Things Happen to Good People following the death of his son, Aaron, from the premature aging disease “progeria”. Kushner acknowledges in the Introduction that this life changing and painful experience made him a more understanding and compassionate rabbi for his congregation. He also admits that he would give it all up to have his son back. Unfortunately for us, we have no choice but to go forward with life. We are forced to make sense of accidents, unnecessary deaths, traumatic experiences and misfortune. But we do have the choice of how we digest and assimilate these experiences. And this process fosters fortitude. No matter how you’ve acquired it, you’ve earned it. Embrace the gift of fortitude.